On August 29, 2014, the second international ICENet Summit took place in Milan, Italy. 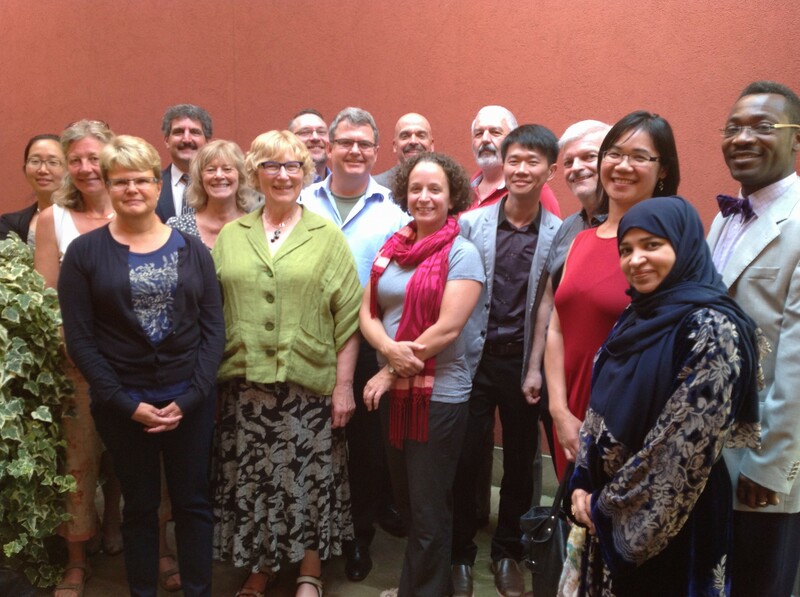 In attendance were 18 international clinician educators (CEs) from North America, Asia, Australia, Mid-East and Europe. The event, which was a follow up to the inaugural summit in Prague last year, featured four dynamic CEs who pitched separate controversial ideas. The provocateurs aimed to challenge and stretch the thinking of attendees, and generate new ideas based on different cultural, educational and professional backgrounds. There were many take-home messages and challenges for the participants to reflect on when they returned home. Dr. Lieberman argued that medical education accreditation bodies need to forbid all clinical “blocks” of less than a year because they are too discrete without an interdisciplinary focus. He argued that block rotations do not adequately prepare trainees to address the evolution of chronic disease processes and fail to facilitate the acquisition of clinical competence and professionalism. how traditional power structures must change to accommodate networks of learning. Dr. Arab argued that training to be a CE is a myth. She argued that most Clinician Educators begin their careers as clinicians and later undergo some form of informal training in medical education. Only a handful of them, however, are actually formally trained in medical education prior to their clinical specialization. She believes that common definition of a CE doesn’t exist; there are varying degrees of how much a C or an E, one is. This insight resulted in a new generative language about the concept of CEs where there could be big, small, medium C and/or Es, all depending on an individual’s stage of professional development. equipping junior CEs with leadership and change management skills. Dr. Chou pushed the audience with his thought-provoking description of educational models (i.e. copying, following, transforming or creating) and the relations between the content and pedagogical knowledge of physicians. With the aid of illustrative slides, Dr. Chou described how the interactions between these concepts could be regarded as a “congenital anomaly.” The highlights of the discussion that ensued included the (over) emphasis of educational theory in medical educational research and the importance of transferability versus generalizability of research findings. Poor collaborations between clinicians and educationalists were a commonly encountered dilemma that everyone agreed with in the session. Professor Southgate argued that different vocabularies are used in medical education by CEs and educationalists. Both groups inhabit different worlds, leading to misinterpretations and (sometimes) hostilities between constituencies. Going on further to establish her point, she described that while the basic competencies for physicians are well articulated in CanMEDS, ACGME, GMP frameworks, etc., the judgment of these competencies in trainees in clinical practice is incredibly unreliable. She advocated that the purpose of workplace assessments should be to assess for learning rather than assessment of learning. There was a heated debate on how to standardize differences in the way individual competencies were defined and how to implement EPA’s in practice. Summit participants left with new knowledge, a sense of accomplishment, and reaped the benefits of a highly interactive and provocative session with international peers. We are looking to grow our network and hope to see you and your colleagues at the third ICENet Summit, which will be held in conjunction with the International Conference on Residency Education (ICRE), on Sunday, October 26, 2014. For more information, or to register, please contact us at at icenet@royalcollege.ca.